NEW YORK－The death toll from a cyclone that smashed into Mozambique and Zimbabwe rose to more than 300 as rescuers raced against the clock to help survivors and the UN led the charge to provide aid, Agence France-Presse reported. "We already have more than 200 dead, and nearly 350,000 people are at risk," Mozambican President Filipe Nyusi announced on Tuesday, while the government in Zimbabwe said around 100 people had died but the toll could be three times that figure. 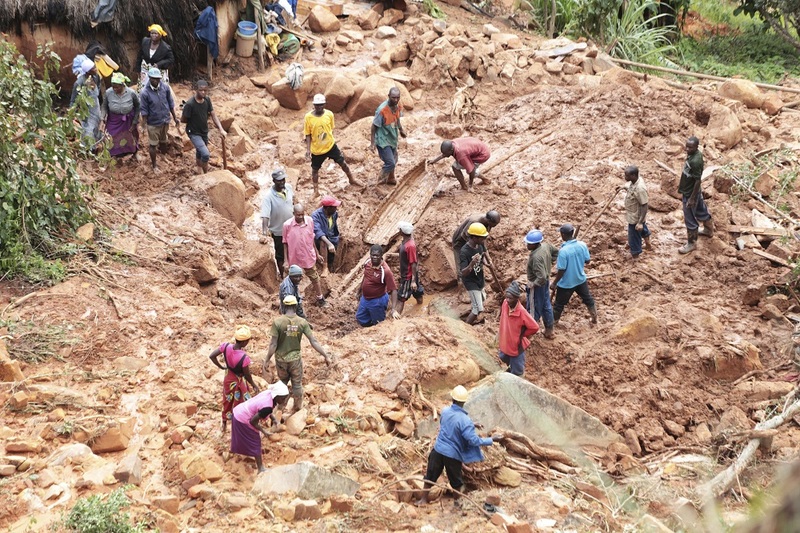 The United Nations, meanwhile, said that one of the worst storms to hit southern Africa in decades had also unleashed a humanitarian crisis in Malawi, affecting nearly a million people and forcing more than 80,000 from their homes. According to The Associated Press, international aid has started trickling into the east African countries of Mozambique, Zimbabwe and Malawi to ease the humanitarian crisis created by floodwaters from Cyclone Idai. The European Union released 3.5 million euros ($3.9 million) in emergency aid, and the United Kingdom pledged up to 6 million pounds ($8 million). Neighboring Tanzania's military airlifted 238 metric tons of food and medicine. Matthew Pickard of the humanitarian organization CARE said the response to Idai has been similar to prior natural disasters. Local authorities and international nongovernmental organizations worked their way to the area in the first days, with additional aid destined to arrive soon after. The slow-moving catastrophe of the flooding and the inability to access some of the hardest-hit areas has limited the ability of some to see the scale of the cyclone. But, Pickard said, as those details become clearer, aid will spike. Sacha Myers of nongovernmental aid organization Save the Children, speaking from Maputo, Mozambique, described rising floodwaters, "rivers and dams bursting their banks" and a death toll in the hundreds that was destined to climb. The UN was deploying resources too, deputy spokesman Farhan Haq said, but logistics remained challenging and the hardest hit areas, including Chimanimani, Zimbabwe, remained inaccessible. As better data emerges from the disaster zone, donors will be standing by to make money and other resources such as medicine available, said E. Anne Peterson of the health organization Americares.